RALEIGH, N.C. – “Unions are multi-cultural organizations that unite people around class issues,” Richard Bensinger, adviser to the United Auto Workers’ (UAW) Nissan Campaign, told labor communicators here during a panel at the International Labor Communications Association (ILCA) 60th Anniversary Convention. 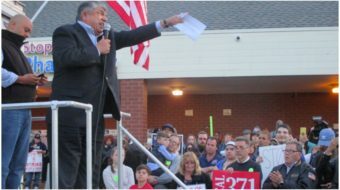 Bensinger, the former AFL-CIO organizing director and founder of the Organizing Institute, said the campaign at Nissan in Canton, Mississippi is a “fundamental civil rights fight.” Seventy percent of regular, full-time workers and 95 percent of temporary workers are African-American. The UAW, like other unions, is beginning to redouble efforts to organize in the South. The multi-year campaign at Nissan in Canton, Miss. centers around union recognition, the “abuse” of low-pay temp workers, as UAW vice president Gary Casteel told reporters earlier this year, and higher pay. The ILCA panel, titled We Can Organize the South, heard reports from Bensinger, Rachel Eitzen, from Teamsters Local 391, Matt Ruff, from the International Brotherhood of Electrical Workers (IBEW), and Ben Speight, from Teamsters Local 728. 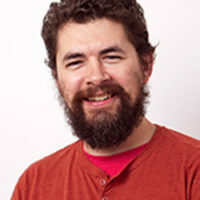 Ruff also identified a problem many of the trades – like his – are encountering. Further, “We’re facing the silver tsunami,” as skilled electricians, laborers, plumbers, sheetmetal workers, among many other trades, near retirement. Unions are having an increasingly difficult time training new members – from pre-apprentice, apprenticeship and journeymen status – to meet contractor demand for workers, especially among women and people of color. Speight’s union, Teamsters Local 728, has grown from 5,300 members in 2007 to 8,200 members today – in a so-called “right-to-work” state. He said, the labor movement today needs to be “big risk takers, and make big resource commitments” if the South is to be organized. Eitzen, from Teamsters Local 391, focused on local organizing as key to winning victories for workers. Her local, which represents 8,000 public employees – including workers at six different public school districts and police officers – has been “very active in school board elections, talking with the school administration and making their lives very difficult,” as a community-based organizing tactic. In spite of anti-union laws, an unfavorable political environment and years of economic stagnation, unions in the South are growing, organizing and fighting to improve the lives of their members, and the entire working class. In fact, just last week the United Auto Workers’ secured a victory in Piedmont, Alabama as about two hundred workers at the Commercial Vehicle Group (CVG) voted overwhelmingly to organize. CVG, an auto parts plant, isn’t the only manufacturer the UAW is hoping to organize in Alabama, in which about 10.8 percent of workers belong to unions. Photo: Morris Mock, who works on the Paint Line, and Michael Carter, who works in the Body Shop, with actor Danny Glover, hold up pictures of Mississippi workers who were threatened by Nissan. 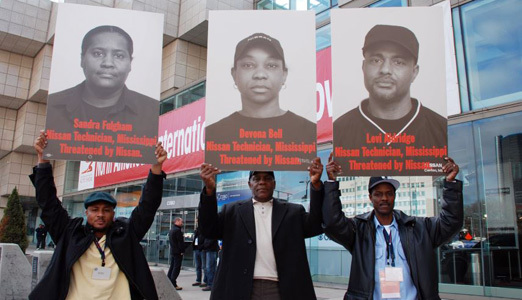 The protest at the Detroit Auto Show in January dramatized the hypocrisy of Nissan, which issued threats in the face of union organizing efforts. Do Better Together Facebook page.